Adventurous decorators, take heart: Rich, bold paint colors are design’s latest obsession, overthrowing the off-white neutrals that have long reigned supreme. 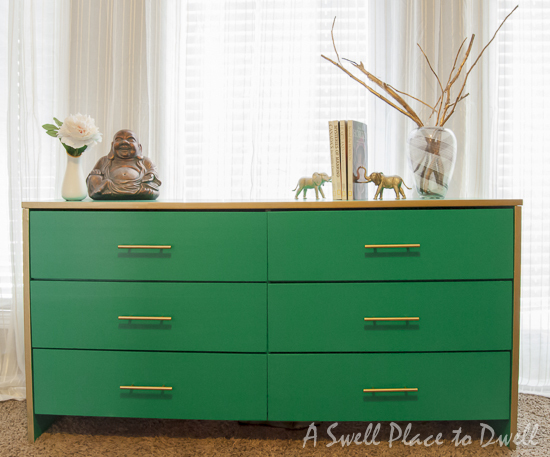 If you’ve always desired decor that’s a bit more daring, this could be the best time to go bold. 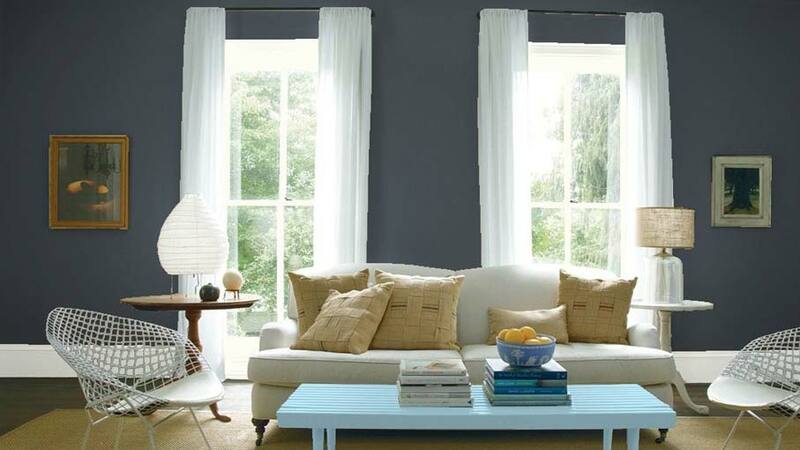 But liking bold paint colors is entirely different from actually slapping them on your walls. 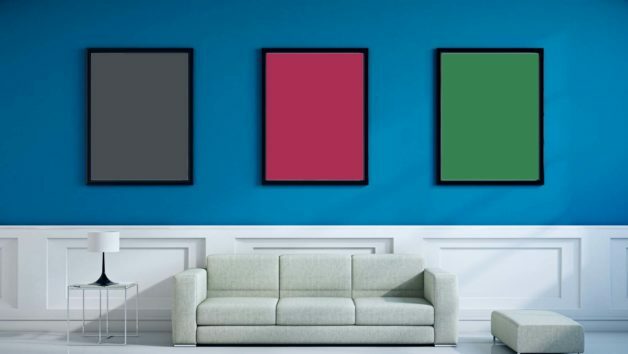 How do you find the right color that will have staying power? We consulted our stable of design experts to find the perfect bold shades that you won’t tire of anytime soon. It’s a full kaleidoscope of color—a rich palette of reds and oranges, greens, browns, blues, and grays. Don’t be frightened. And if you hate these colors after putting up a coat or two? It’s just paint! Slap on some primer and try again. Looking for drama? 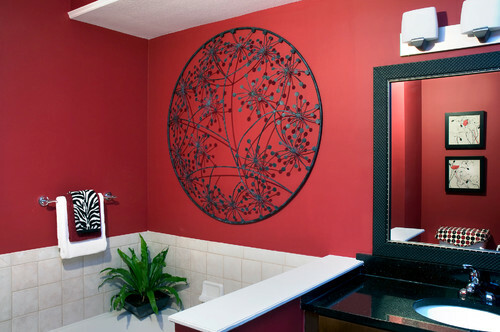 Benjamin Moore’s Raspberry Truffle is the perfect shade for a living or dining room accent wall—or even a powder room, says Jeffrey Welder, a home decorating expert with Vant Wall Panels. “It’s vibrant,” he says, with more than a bit of understatement. Raspberry Truffle isn’t just any red. With its warm tones of chocolate and orange, this shade is ideal for interiors and exteriors, according to the folks at Benjamin Moore. Bold, orange-toned corals add personality—and unlike brighter reds or deeper oranges, this shade rarely appears outdated or over the top. 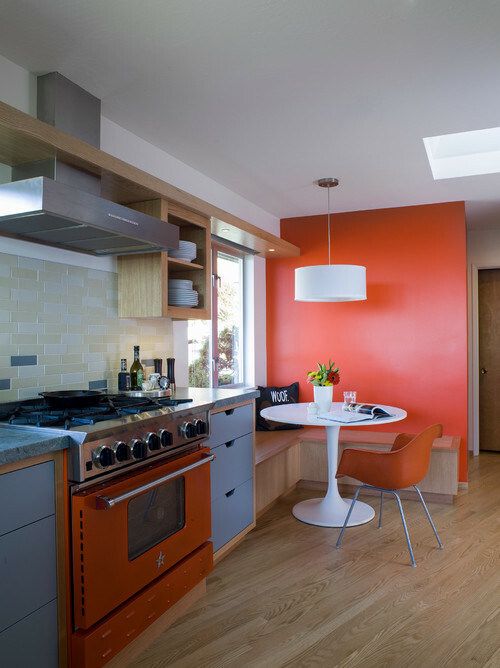 Brooklyn, NY, designer Jarret Yoshida recommends Benjamin Moore’s Tawny Day Lily, a “very vibrant shade of red-orange. It’s playful and can work in any room of the home,” he says. Don’t be cowed by pink-tinged purples. Benjamin Moore’s Magenta is a saturated jewel tone capable of giving any room a heaping spoonful of drama. Deeper purples bring regal elegance to small rooms, without making visitors feel claustrophobic. 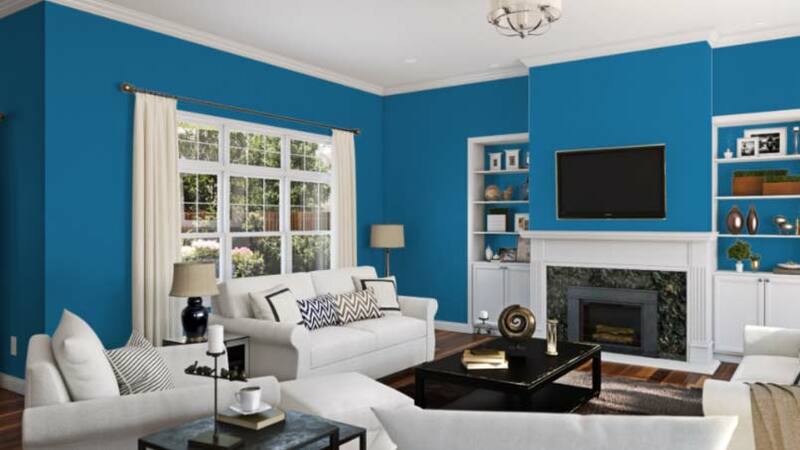 Allison Grimes, owner of Chromatics Interior Decor in Ottawa, Canada, recommends Benjamin Moore’s classic color, Super Nova. “This bold, deep purple is well-used in a hallway or powder room, accented with gold accessories,” she says. Take a trip to ancestral Ireland without ever leaving your home. Benjamin Moore’s Emerald Isle is a vivid, soothing green that “complements everything,” says Mitchell Hill, an interior designer in Charleston, SC. Need your green walls a little less intense? Try Benjamin Moore’s Forest Hills Green, which Patterson calls a rich emerald without the (sometimes) overpowering punch of a darker shade. “It’s beautiful paired with peach, corals, or navy blues,” she says. Neutrals can be dark. Just look at Behr Marquee’s Museum, an “amazing neutral color that has a modern flair,” Welder says. The shade’s smooth, earthy tones promise to complement your gallery wall—no matter how ornate your gilded frames are. 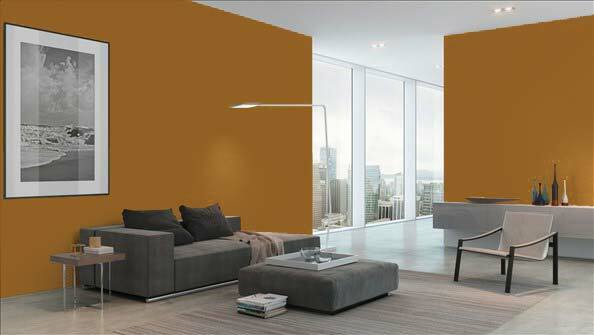 As desertlike as its namesake, Portola Paint’s Joshua Tree glides on as a rich shade of orange-brown. The folks at Portola Paint describe it as “sunset on the rocks in Joshua Tree,” and designers agree with that assessment. It’s got “an ‘age of the earth’ feel,” says Brynne Rinderknecht, an interior designer in New York City. “The color is very rejuvenated, and can be applied for a spalike bathroom retreat.” She recommends pairing with off-white upholstery, blacks and browns, and brass and chrome lights—and lots of houseplants. Deep blues feel calming, reminding you (and your visitors) of clear skies and gentle ocean vistas. Sherwin-Williams’ Danube is “highly visible, inviting, and not intimidating,” says Wanda E. Gozdz, a Florida interior designer. Pair with an off-white to create crisp, definitive lines. Luxurious teals work surprisingly well in small spaces, adding depth and interest to a powder room, a master closet, or even a cozy living room. Benjamin Moore’s Dark Harbor “is a lovely teal that adds a punch of boldness,” says Alice Chiu, an interior designer in San Francisco. Not a fan of teal? Farrow and Ball’s Stiffkey Blue offers similar depth without the hint of green. Dark gray can be just as dramatic as a rich emerald or deep blue—especially if you’re trying to create a cozy, sea-swept effect. Cheryl Chase-Mackenna, a New York–based designer, adores Benjamin Moore’s Gravel Gray.